A.A. and T.D., two teachers who were earlier dismissed from their posts as part of a post-coup crackdown on the Gülen movement, were taken into custody on Sunday at a school in Malatya where they stopped to cast their votes in a referendum on a switch to an executive presidency. Turks are voting on whether to shift from a parliamentary system of governance to an executive presidency that is expected to give sweeping powers to President Recep Tayyip Erdoğan. Malatya police detained A.A. and T.D. over links to the Gülen movement, which the government accuses of masterminding a July 15 coup attempt. The movement strongly denies the accusation. Meanwhile, E.O. a former partner of a private school that was closed down by the government after July 15 over similar charges was also taken into custody in Trabzon’s Arsin district. 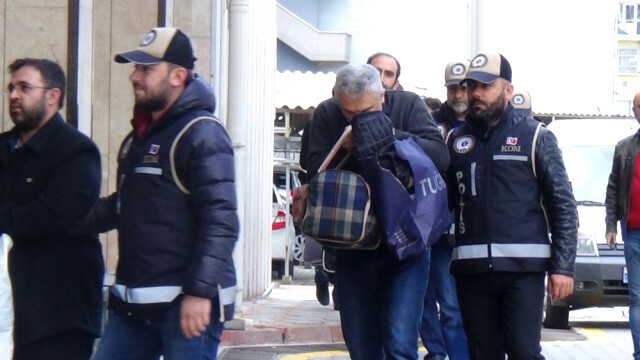 Police also detained F.G. in Malatya while 4 others were taken into custody in Adana due to alleged ties to the outlawed Kurdistan Workers’ Party (PKK) near the polling place.